Why should I be interested in training for my business? That's a good question. Training costs money, money that could be spent on advertising or new computers or even an new employee anything but training - right? Think of this:- If you drive a car, you know that you should service it regularly. Change the oil, check the tyres and ensure that the brakes are working among many other things. But a more immediate concern is fuel, basically no fuel means no go. Now your car won't immediately break down if you don't change the oil, in fact you may not even notice anything wrong. So you deal with your immediate concern i.e. putting fuel in the car. Why? Because you just don't have time to get the car serviced. If you do this eventually your car will grind to a halt because you just haven't kept up with the maintenance. Here's the point. If you don't keep up with your corporate computer training you'll soon find out your employees skills are far behind the standard for your industry. Our training packages can be tailored for your company. We can come in and perform a TNA (Training Needs Analysis) to ascertain your companies requirements. (This can also be done online). After this we can establish a training schedule to ensure that your staff are trained on what they need to know.. So what can we provide you? Laptops with software already installed should you require it. Overhead projector so all can see easily. Manuals or Notes for you to take away. 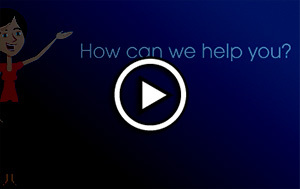 Online training videos on subjects that you require. This short video will give you an overview. A company feels that 100 employees may need training in Excel, however they are unsure as to what level everyone is at. They also are not too clear about which skill everybody is lacking. After completing the training needs analysis it is ascertaned that only 40 staff require training. 12:30 - 13:30 Carol comes in over lunch to talk about a particular problem she's having. 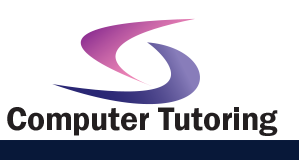 Computer Tutoring Ltd trains 36 individuals during 4 half day sessions. The remaining 4 staff members have their questions answered during lunch. Post training support would be given to all of the students. The overall cost of the training is lower, and disruption to company operations is reduced. If this is something you can make use of then please give us a call on: 0800 158 3588. We can then discuss a price based on content and number of students.